If someone hurts your sister and you're any kind of man, you seek revenge. If your brother's accused of a terrible crime but says he didn't do it, you defend him. This is a brave and unflinching novel about loyalty and the choices that come with it. But above all, it's a book about love. 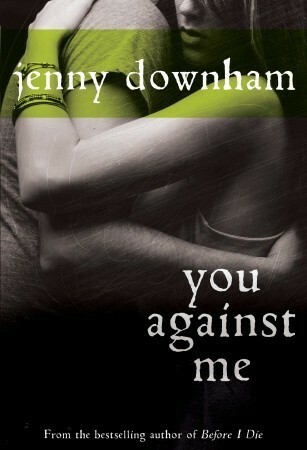 Alright, so there are a lot of things that went on for You Against Me by Jenny Downham. I first want to say that 1. I love the cover and how even though it may be in black and white, there is a lot going on. Even the simplest things mean a lot. And 2. This was the first novel I have read that was completely based in a different country, and the language was not basic English from US or Canada. I love the different terms and language that was happening throughout the novel, and it was a refreshing change for me. I found at the beginning of the novel, that it was hard to tell what was going on with the accusations on being sexually assaulted (like skirting around the entire thing). It definitely made it a little heard to decide where the truth was coming from, and what really happened in the story. As I kept reading though, the story started to fill in and I began to get a better understanding of what really happened that caused all of the drama. I found that Mikey was pretty much raising his sisters as well as his mother, because she was never really there for them with all of her "distractions". I could see that he really cared for his sisters and that he would do ANYTHING for them, but it was starting to wear down on him. There was all of this pressure on his shoulders. I didn't really like that there wasn't a lot of background history for the characters, although they started to get more of one throughout the novel. I would have preferred to know at least a bit, and then open them up more, rather than not knowing a thing then waiting until a few hundred pages to know them. I also didn't like how some parts of the novel would jump and goes to one scene to another. (as if she forgot something important, then just added it, or no full dialogue between characters.) It didn't happen often, but a couple parts were like that. I found myself laughing at parts (Men are apes) and when it came to Ellie and Mikey being alone together, you could see that there was something that was going to happen. There was true love within a hazardous story. They always seemed hot then cold, trying to joke, or avoid the elephant in the room. I really loved the part of the story when Mikey gets confronted by Ellie about who he is, and how it all came about, when all of a sudden Tom enters and a something big happens. The only way for it to end was with Ellie spraying them with water like they were a cat that did something wrong! So entertaining!! As for Ellie, I could tell that she was the one who knew the truth behind the entire ordeal, and it was weighing heavily on her. She was torn between truth and lie, and her parents definitely didn't make it any easier for her. 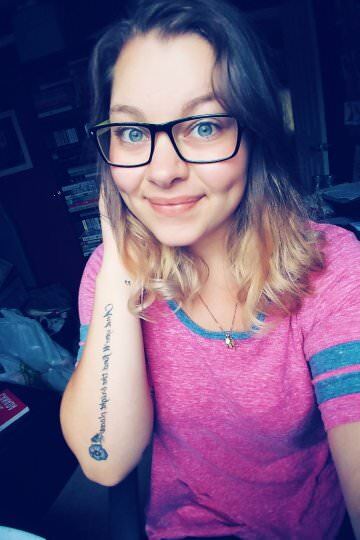 Her father kept yelling and pressuring her, while her mother (for most of the story) was hidden behind her husband, and didn't want to talk about the issue at hand. Ellie seemed like the child left out of the equation, and anything that was going on with her didn't seem to matter. I really like how Mikey and Ellie have to keep their relationship a secret--Like Romeo and Juliette-- and that they face the reality of one family being torn apart, and the other getting what they want. I'm really happy with the ending of the book and how some people finally looked up and realized that something needed to change, so they did. Overall I am really happy with this book, because it does talk about serious things, and how one little lie can change the fate of another. There obviously were a couple things I didn't enjoy, but I think that this story is definitely something that people should be reading more of! So that is it for this review. I hope you enjoyed it! Don't forget to follow my blog and/or my Instagram account for more fun things ahead.